The dance season will go from Sept. 4, 2018 – May 31, 2019. Monthly tuition does not change from month to month. It is calculated for the season and then divided by 9 months to give you one consistent payment. You are not paying for scheduled studio closures. Payments are due and processed on the (1st) first of each month through auto billing. Tuition is considered late after the 5th and a $15 late fee will be assessed. There is a $20 per student non-refundable annual registration fee, which covers the entire school year and summer session, (September – August.) $10 for each additional family member. Payment is due at time of registration. Monthly tuition is charged until the studio has received an email request of cancellation. The family member with the most classes is considered the 1st Family Member; the dancer with the second most classes is the 2nd Family Member; and so forth. The discounts are as follows: 20% off for the 2nd family member; 30% off for the 3rd; and 50% off for the 4th. Costume Fees will be added to your account the first week in January. Costumes usually range from $80-$120 each. The studio calendar year runs from September – May. All communication is sent via email; please keep a current email address on file in the office! The studio will be closed for major holidays and school vacations. See Calendar. Credit will not be given for missed classes due to illness or personal commitments. You are welcome to make-up any class missed. 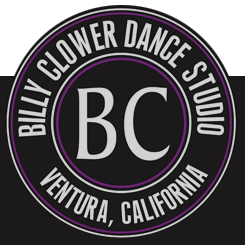 Billy Clower Dance reserves the right to cancel any class with insufficient registration and a full refund will be given. When student sustains an injury that does not permit them to participate over an extended period of time a credit or refund will be issued. If a very young student is not ready to participate in a class after several visits, a refund of tuition will be given. Payments will be auto-paid online on the first of the month. You WILL NOT be receiving a statement from our office for your monthly tuition. Any account unpaid after the (5th) fifth of the month will have $15 late charges assessed. If at any time you would like a printed statement of your account you may request one. Our annual Holiday Hoedown Show is in December at Buena High School. Participation is optional; however, we do encourage all students to take advantage of this wonderful performing experience. Bring a plate of cookies to share. No major costumes to purchase for this show. Our annual Show Business Recitals will be held in the Spring at Buena High School. 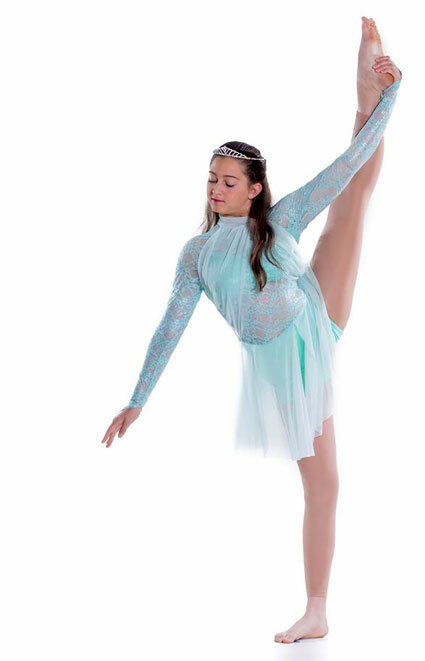 Recital costume ordering takes place in January. Ask to see our DVDs and photos of previous recitals. Billy Clower Birthday Parties are Hassle Free!! You bring the food and favors and we set up, decorate, run the party & clean up! We will set up two 8ft tables with tablecloths, folding chairs, balloons, streamers and we will help you with any additional items you bring. Customized party timeline to fit your dream party. In addition to the dance/cheer lesson our instructors can lead the kids in other activities of your choice. Some party ideas to for your guests to enjoy at no extra charge are the limbo game, hula-hoop fun, jump ropes, and obstacle courses. Ideas that you can add for an extra charge are face painting, craft to match theme, t-shirt making and more! 2 tablecloths, plates, napkins, balloons, streamers and a bottle of water for each birthday party guest. We will help load your car and clean up. Additional party time can be purchased at $80/hour. Please email us to reserve your child's special day at billyclower@gmail.com. A $50 non-refundable deposit is due at the time of booking. The remaining balance is due upon your arrival on the day of your party. We accept cash, check, credit and debit cards.